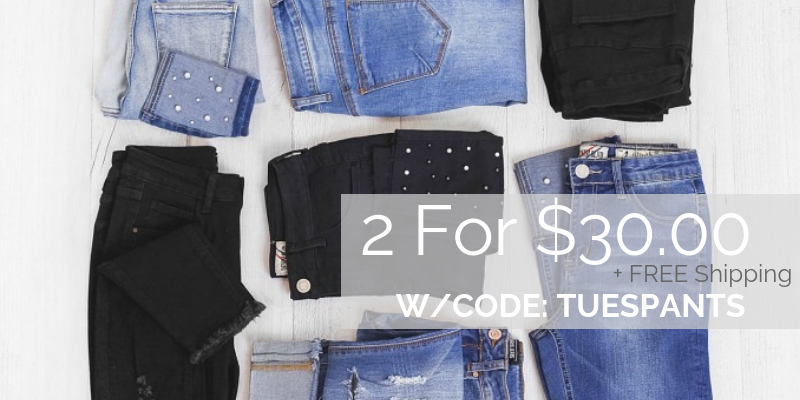 Home > Clothing Deals > 2 Pairs of Pants for $30 Shipped! 2 Pairs of Pants for $30 Shipped! Need new pants! Today, 2/5, only you can get 2 pairs of pants for $30 shipped. Use the code TUESPANTS to get the deal. The sale includes jeans, jeggings, and more. Shipping is FREE. Deal is valid today, 2/5, only.